DIMITRIOU I, ARONSSON P, MOLA-YUDEGO B, LAMERSDORF N. 2012. Impact of willow and poplar Short Rotation Coppice on water quality. Poster. 4th Woodwisdom-Net research Programme Seminar in collaboration with ERA-Net Bioenergy. Helsinki 7-8 Feb 2012. DIMITRIOU I, BOLTE A, ARONSSON P, BAUM C, BAUM S, BERNDES G, BUSCH G, ENGLUND O, KÖHN J, LAMERSDORF N, LEINWEBER P, MOLA-YUDEGO B, SCHULZ U, WALTER-SCHMIDT P, WEIH M. 2012 Rating-SRC Impact of SRC on the environment. Poster. 4th Woodwisdom-Net research Programme Seminar in collaboration with ERA-Net Bioenergy. Helsinki 7-8 Feb 2012. MOLA-YUDEGO B, FABRA-CRESPO M. GARCÍA GONZÁLEZ J C, POVEDA LÓPEZ A. 2010. Testing application of lidar for the measurement of forest inventory parameters. Poster. Forestat 2010. Galicia, Sept, 2010. FABRA-CRESPO M, MOLA-YUDEGO B, GARCÍA GONZÁLEZ J C, POVEDA LÓPEZ A, XERRAC – A software for the application of LiDAR to forest fire risk and fuel maps analysis. 2010. Poster. Forestat 2010. Galicia, Sept, 2010. AREVALO J, MOLA-YUDEGO B. 2012. Is there room for ethics in natural resource curricula? Oral presentation + Proceedings. Conference on Citizenship transformations in a global world. Panel 7: Education and the changing forms of citizenship. Helsinki 9-10 Feb 2012. GRITTEN D, MOLA-YUDEGO B, DELGADO MATAS C, KORTELAINEN J. 2011. A quantitative review of the representation of forest conflicts across the world: resource periphery and emerging patterns. Oral presentation. Nordic Workshop on Forest Conflicts. Sigtuna, Sept 2011. FABRA-CRESPO M, MOLA-YUDEGO B, GARCÍA GONZÁLEZ J C, POVEDA LÓPEZ A, XERRAC – A software for the application of LiDAR to forest fire risk and fuel maps analysis. 2010. Abstract. Forestat 2010. Galicia, Sept, 2010. GONZÁLEZ-GARCÍA S, MOLA-YUDEGO B, MOREIRA M T, FEIJOO G. 2010. Environmental aspects of second generation ethanol willow (salix) biomass. 3. Fuels from Biomass. Sub-section: 3.5. Technologies and demonstration of second generation biofuels. Abstract. 18th European Biomass Conference (3 - 7 May 2010). Lyon, France. RÖSER D, SIKANEN L, PRINZ R, MOLA B, EMER B. 2009. How much wood can a wood chipper chip? IEA Bioenergy task 31 workshop. Poster + Oral presentation. Wershofen, Germany 2009. RÖSER D, MOLA-YUDEGO B, PRINZ R, VÄÄTÄINEN K, SIKANEN L, EMER B, ERKKILÄ A. 2009. Partial Debarking and Covering to Promote Drying of Roundwood for Energy in Finland, Scotland and Italy. 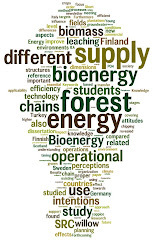 Bioenergy 2009. Poster + Proceedings. Sustainable bioenergy business, (31 Aug – 4 Sept 2009). Jyväskylä, Finland. MOLA-YUDEGO B. 2009. The potential of short rotation willow coppice on agricultural land in northern Europe based on empirical data. Biofuels & Bioenergy: A Changing Climate. Abstract + Oral presentation. 21-26 August, 2009 Vancouver, Canada. MOLA-YUDEGO B, GRITTEN D. 2009. Locating the frequency and concentration of forest conflicts. Preliminary results based on a systematic compilation of empirical cases. Abstract. Change in governance as collective learning process: management, politics, and ethics in forestry. Nancy 21-24 June, 2009. MOLA-YUDEGO, B. 2007. Trends of the yields from commercial willow plantations in Sweden (1986-2000). Proceedings from the IEA Task 31 International Workshop: Sustainable Production Systems for Bioenergy. Abstract + Oral presentation. Forest Energy in Practice, Joensuu (Finland).